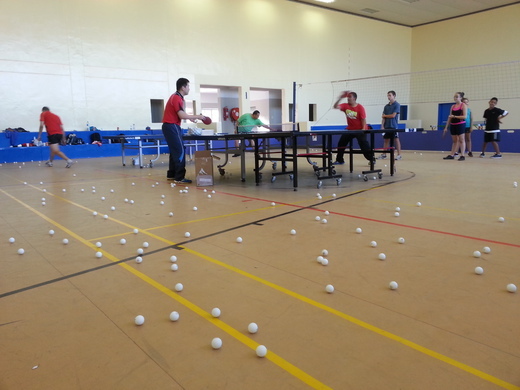 Its all about Table Tennis! 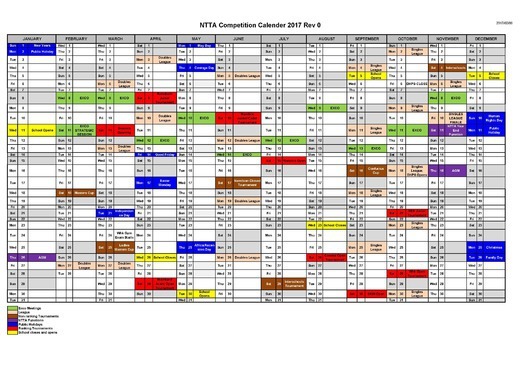 Media Release - NTTA Masters Cup 2018 - NTTA MASTERS CUP 2018, A MASSIVE SUCCESS AND MAJOR HIT WITH THE WERNHIL PARK CROWD. 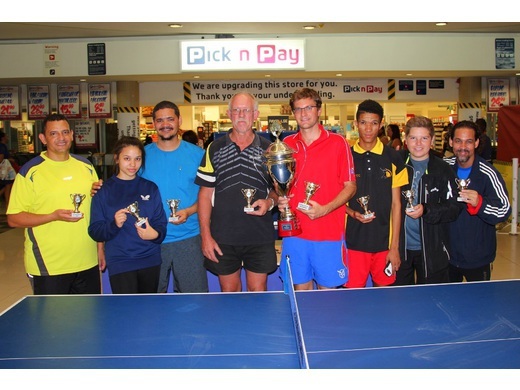 The seventh annually held NTTA Master’s Cup, hosted by the Namibian Table Tennis Association (NTTA) in association with Wernhil Park, Broll Namibia and Paco Engineering, was yet again a massive success and crowd pleaser. The event, which took place on Saturday, 10 March 2018, set high standards and met high expectations. The matches between Namibia’s top eight ranked senior players had hundreds of people in Windhoek’s Wernhil Park in amazement throughout the day. Most people stopped on their way through the Mall to catch a glimpse of the six (6) Senior and two (2) Junior players, including a Junior Lady, in action. 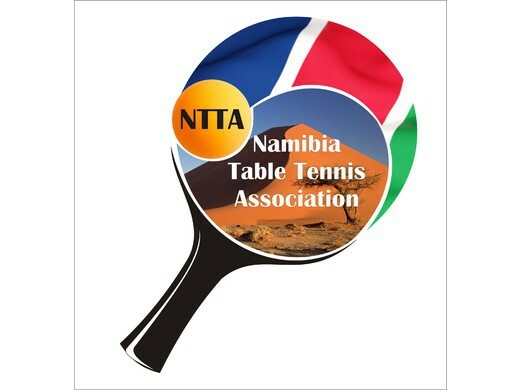 Media Release - NTTA Season Opening Tournament 2018 - VETERANS DOMINATE AT THE TABLE TENNIS SEASON OPENING CHAMPIONSHIPS: The Namibia Table Tennis Associations’ (NTTA) 1st Open table tennis event of its 2018 Season, the Season Opening Tournament, took place recently in Windhoek at the SKW. 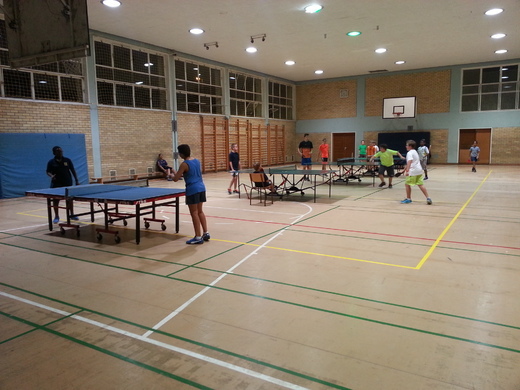 The relatively high percentage of new & very talented young players was one of the highlights of this event. 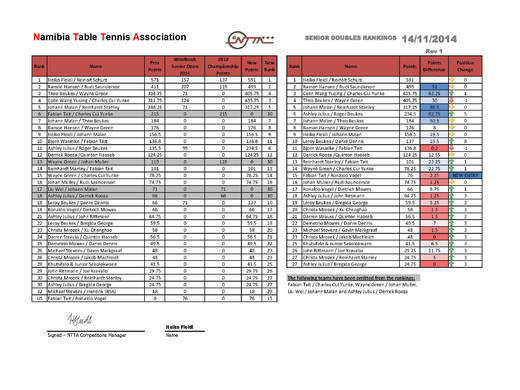 The relatively low number of overall entries, was about the only lowlight of the tournament. 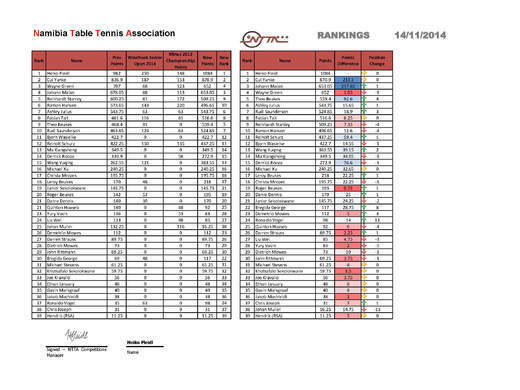 The tournament was professionally administrated by the NTTA’s long standing Competitions Manager, Heiko Fleidl. 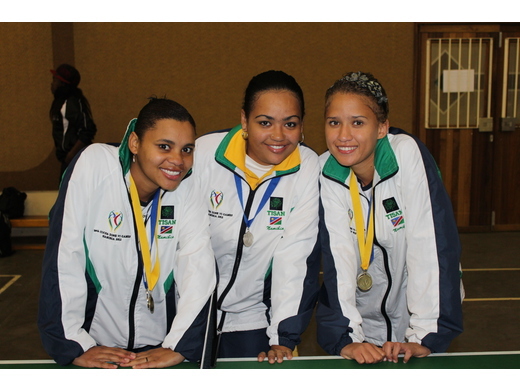 Media Release - AUSC Region 5 Table Tennis Chapionships in Gaborone, Botswana - Namibia send a men’s and ladies’ team to participate in the AUSC Region 5 Championships from 25 to 28 January 2018. The competition was this time dominated by South Africa who won all the gold medals on offer with Angola playing 2nd fiddle. 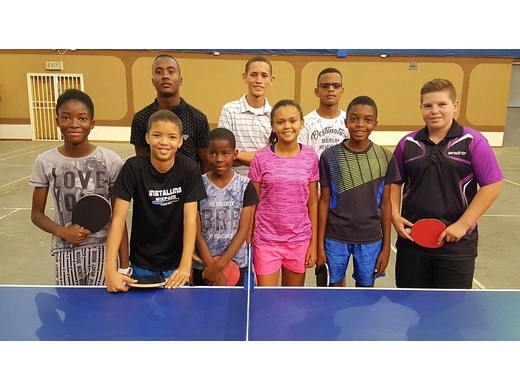 THE NAMIBIAN JUNIOR OPEN TABLE TENNIS COMPETITION 2017 - Raica Coelho (DHPS) emerged the under 13 and under 15 Girls Champion at the recent Table Tennis Junior Championship held at the SKW Hall. 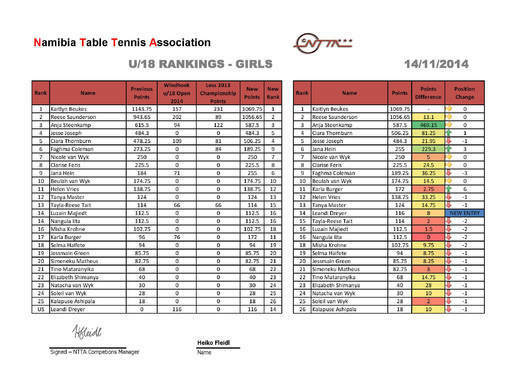 She missed out on the treble when Reese Saunderson (Windhoek Gymnasium) beat her to first place in the under 18 Division. 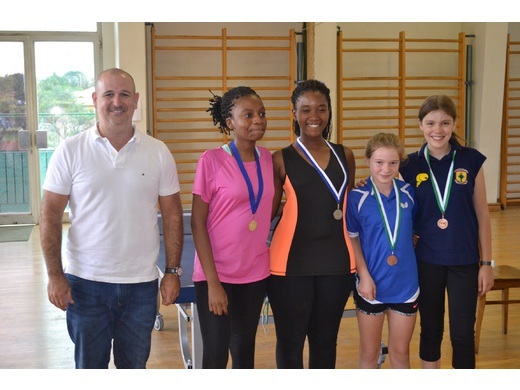 Coelho had a sterling day adding to her two single Gold medals, also the Girls’ doubles Gold with Cecile Voigts and the Mixed doubles bronze with partner Patrick Beggs. 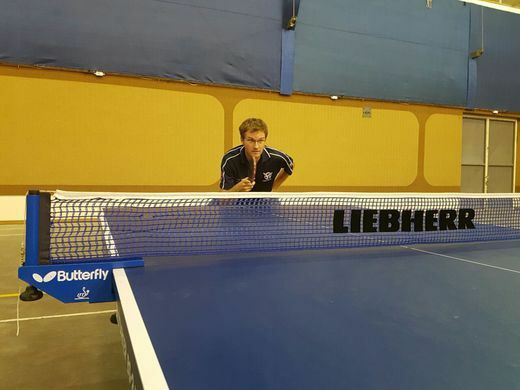 DIETRICH MÖWES IS JUNIOR AND SENIOR TABLE TENNIS CHAMPION - The 1st open table tennis event of the year, the Season’s Open Championships, took place on 24 and 25 March 2017. 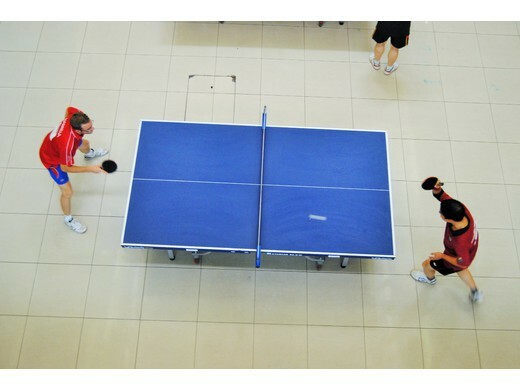 There was no shortage of excitement, and it was pleasing to see the high standard of table tennis so early in the year. The number of very young players was probably one of the most important highlights of this event. 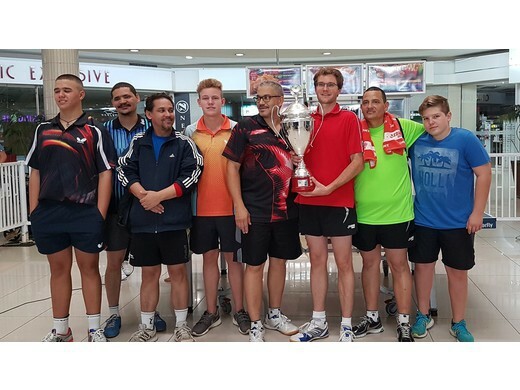 NTTA MASTERS CUP 2018, A MASSIVE SUCCESS AND MAJOR HIT WITH THE WERNHIL PARK CROWD. 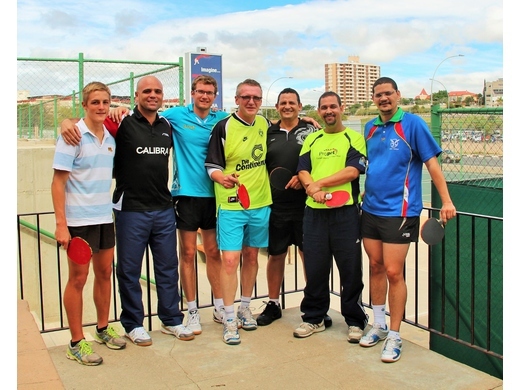 The seventh annually held NTTA Master’s Cup, hosted by the Namibian Table Tennis Association (NTTA) in association with Wernhil Park, Broll Namibia and Paco Engineering, was yet again a massive success and crowd pleaser. The event, which took place on Saturday, 10 March 2018, set high standards and met high expectations. The matches between Namibia’s top eight ranked senior players had hundreds of people in Windhoek’s Wernhil Park in amazement throughout the day. Most people stopped on their way through the Mall to catch a glimpse of the six (6) Senior and two (2) Junior players, including a Junior Lady, in action. 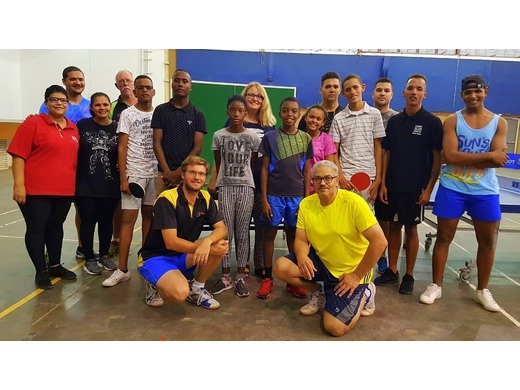 VETERANS DOMINATE AT THE TABLE TENNIS SEASON OPENING CHAMPIONSHIPS: The Namibia Table Tennis Associations’ (NTTA) 1st Open table tennis event of its 2018 Season, the Season Opening Tournament, took place recently in Windhoek at the SKW. 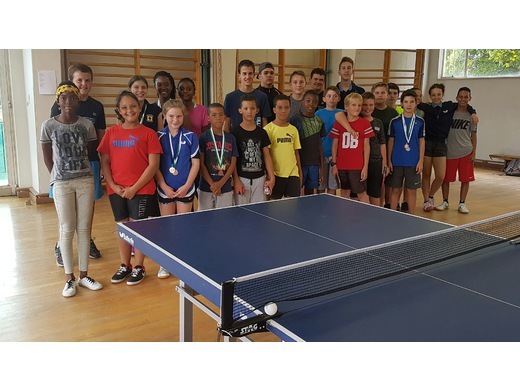 The relatively high percentage of new & very talented young players was one of the highlights of this event. 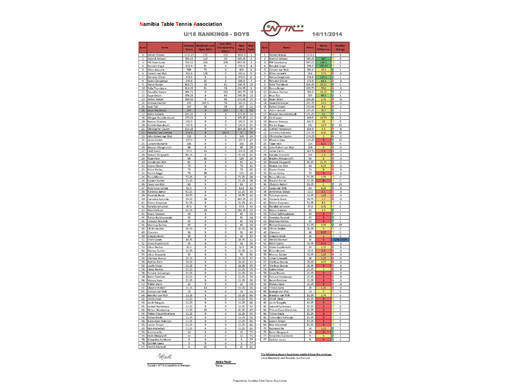 The relatively low number of overall entries, was about the only lowlight of the tournament. 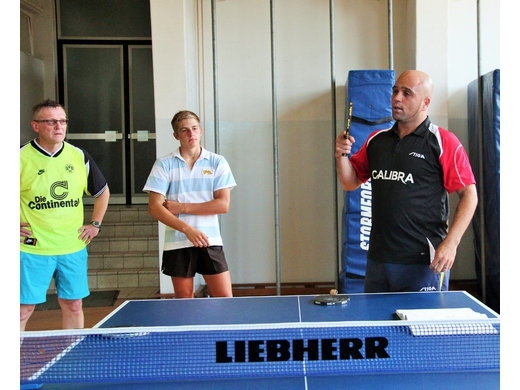 The tournament was professionally administrated by the NTTA’s long standing Competitions Manager, Heiko Fleidl. Namibia send a men’s and ladies’ team to participate in the AUSC Region 5 Championships from 25 to 28 January 2018. The competition was this time dominated by South Africa who won all the gold medals on offer with Angola playing 2nd fiddle. 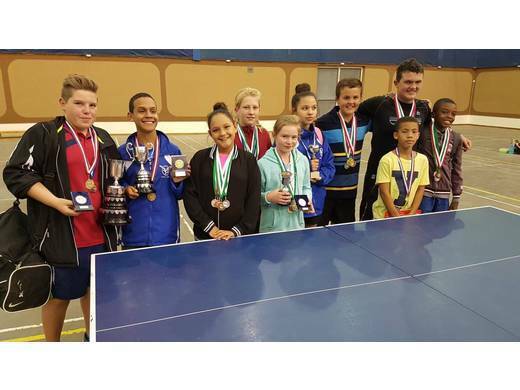 Raica Coelho (DHPS) emerged the under 13 and under 15 Girls Champion at the recent Table Tennis Junior Championship held at the SKW Hall. 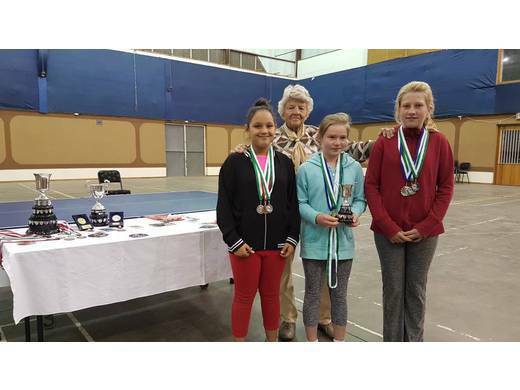 She missed out on the treble when Reese Saunderson (Windhoek Gymnasium) beat her to first place in the under 18 Division. 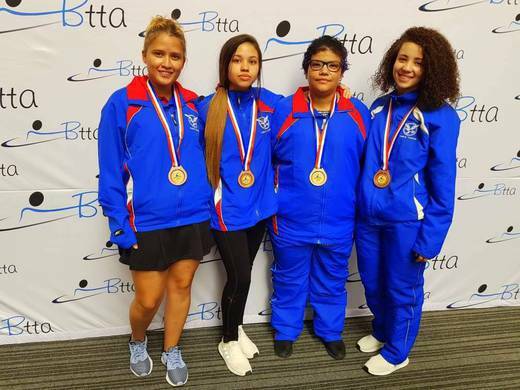 Coelho had a sterling day adding to her two single Gold medals, also the Girls’ doubles Gold with Cecile Voigts and the Mixed doubles bronze with partner Patrick Beggs. 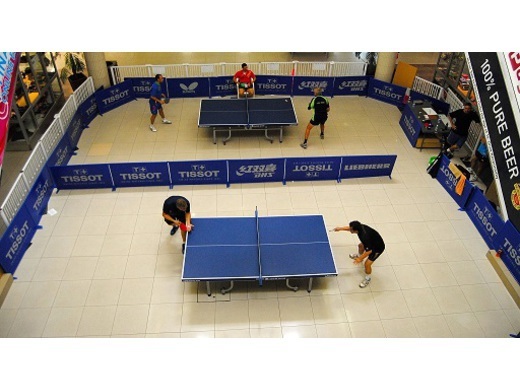 Affiliated to: International Table Tennis Federation (ITTF), African Table Tennis Federation (ATTF), Namibia National Olympic Committee (NNOC) and Namibia Sports Commission (NSC). Click here for more stats! 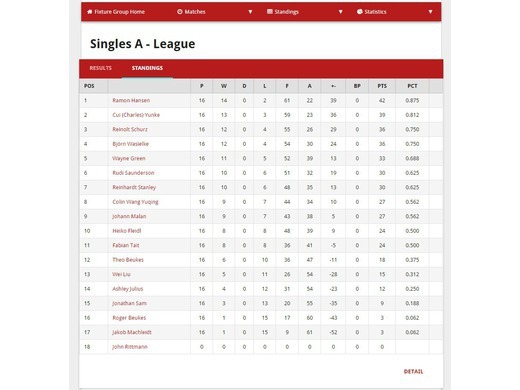 NTTA Leagues including the Doubles, National Team and Singles league. Support us by being one of our valued Partners.